When she was only 16, Cassidy Buchanan fell for the 19-year-old bad boy in town, Brig McKenzie, who'd had his share of run-ins with both the law and the local women. Then a terrible fire killed Cassidy's sister, and Brig, the chief suspect, was forced to run away. Seventeen years later, an eerily similar fire seriously injures Cassidy's husband, Chase, who happens to be Brig's brother. With the earlier fire still an open case, suspicion turns to Cassidy, the only unharmed person connected to both tragedies. Ever since her father was stabbed to death in a home invasion, Julia “Jules” Farentino has been plagued by nightmares. Her half-sister, Shaylee, now 17, has had her own difficulties since the tragedy, earning a rap sheet. Still, when Jules learns of her mother’s decision to send Shay to an elite boarding school in Oregon, she’s skeptical. Blue Rock Academy has a reputation for turning wayward kids around — but one of its students went missing a few months earlier and her body has never been found. Others may dread the chill of winter, but he relishes it: the way the frigid water preserves his victims, the feel of their icy skin beneath his fingers…. And soon the world will see their beauty - and his vengeance. The town of Grizzly Falls is on edge in the wake of a serial killer, and Detective Selena Alvarez is no exception. That case was solved, but a new nightmare is about to unfold. There are two victims so far - their bodies were frozen solid and deliberately displayed. Both are women she knew. And each wears a piece of Selena’s jewelry…. Selena’s partner, Detective Regan Pescoli, and the entire department are on the case, as is P.I. Dylan O’Keefe - a man Selena got too close to once before. But this killer already knows too much about Selena’s secret terror, her flaws, and the past she’s tried to outrun. And soon he’ll show her that she has every reason to be afraid…. Unique and fascinating serial murder novel! The serial murderer is an ice statue artist who puts real women inside the ice and then poses them in public places. This narrator is quite good. Recommended for those who like dark detective thrillers. WOW!!!! I loved it sooo much!!! Thank You Lisa Jackson, for taking me away and losing myself. It was a great ride, one that I didn't want to get off. Have you listened to any of Natalie Ross’s other performances before? How does this one compare? LOVE Natalie Ross, one of the best narrators. Did Afraid to Die inspire you to do anything? The plot was good. There were a few unbelievable coincidences but for the most part it was a good storyline. The narrator needs to work on her male voices. It kind of broke up the flow when she switched to a male because it really sounded like a female trying to sound male. When it was narration or female voices she did fine. This book definitely kept me hanging on and wanting to drive around to listen. Fortunately I had lots of driving to do for work and could listen to it all in just a few days. It's great to be back to the Alvarez and Pescoli storyline. I've really enjoyed this series. 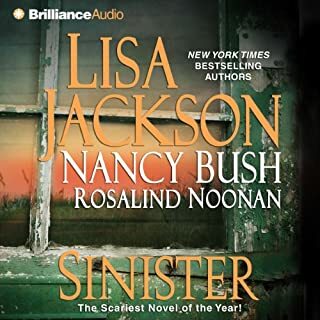 Would you try another book from Lisa Jackson and/or Natalie Ross? What didn’t you like about Natalie Ross’s performance? Could you see Afraid to Die being made into a movie or a TV series? Who should the stars be? 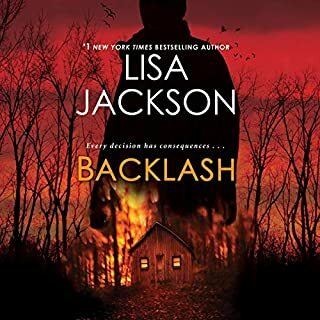 Would you be willing to try another book from Lisa Jackson? Why or why not? I do not think so. the outline is good, but she just does not have the material I enjoy. Which character – as performed by Natalie Ross – was your favorite? I purchased this book because Natalie Ross was the reader. Her male voice is her strength and if you like her, then visit the books she reads. My all time favorites are there. I own so many...if this author has a following great...just not my cup of tea. loved it, enjoyed the story. looking forward to the next one. book continued to keep you guessing! I like that the story binds the books together I enjoyed the plot as a serial killer is on the loose and Alvarez is forced to confront her pass. 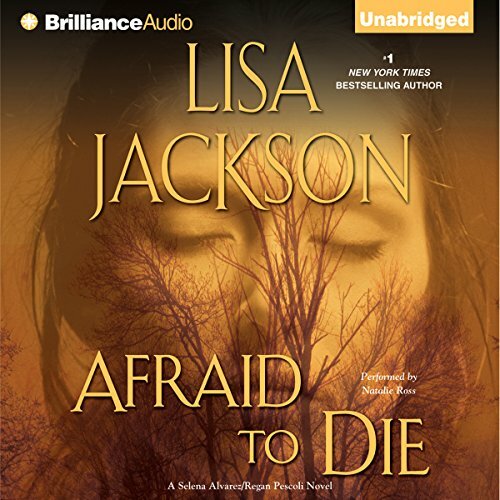 Where does Afraid to Die rank among all the audiobooks you’ve listened to so far? It's a great book, but it could have been a better audio book with a different narrator. The narrator of the first three books was great, but a narrator that just reads is a lot more effective than someone trying to do different voices and accents and doing them all poorly! Go back to the narrator of the first three books. (Why would you change in the middle of the series?) The new narrator Natalie Ross, needs to quit trying to do the different voices and accents! Her Spanish accent just gets on my nerves...it sounds more like she's a vampire from Transylvania. When she starts trying to do the stupid voices, she is not consistent at all! The narrator Natalie Ross didn't ruin my enjoyment of this book, but she did make me consider purchasing the Kindle ebook instead of the audiobook so I wouldn't have to listen to the stupid voices. 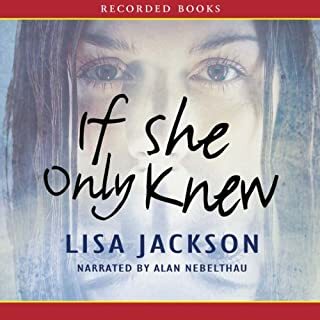 The authors story stands on it's own and doesn't need the stupid voices and accents, that this narrator can not carry out, to keep the listeners interested! The story will keep you wanting more! 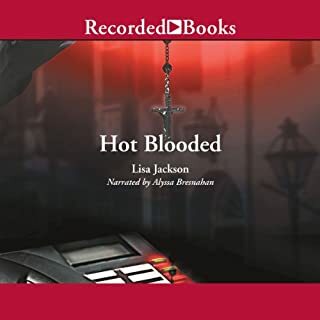 If it wasn't that I have already invested in this series and want to finish it, I wouldn't purchased another audiobook in this series. I just can't get past the very bad Spanish accent, and the way she is inconsistent with the voices.